Our fully experienced site engineers will carry out a comprehensive inspection and survey of site and will liaise with the customer and discuss any particular requirements, offering advice as to the best choice of door or shutter to suit the application and provide a written estimate of costs. This free service is completely without obligation. 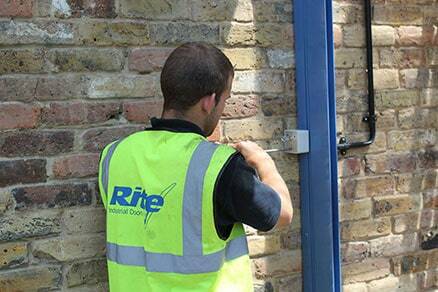 On a pre-arranged date, agreed with the customer, a team of Rite engineers will complete the installation with the minimum amount of disruption, leaving the site clean and tidy. Installation and door functions will be rigorously checked to ensure optimum performance and to the complete satisfaction of the customer.